The Common Core State Standards (CCSS) were released in 2009. They are now seven years old. I felt they were heavy in non-fiction…(no, wait.. heavy in “informational texts”). The CCSS suggested a typical student should have a reading diet filled with informational texts because of the authentic kinds of reading they would do once they graduated, in the real world. The CCSS recommended that a ratio of 50:50 of fiction and informational texts in elementary school should shift to a 30:70 ratio of fiction to non-fiction by grade 12th. These ratios made me concerned that fiction would disappear. The year 2016 has proven that the genre of fiction, a genre of invented or imagined stories, is thriving in the real world. Sometimes certain fictions are posing as informational text. The year 2016 has been marked by the rise of fake news, hoaxes, propaganda, and disinformation that has circulated on news and social media platforms, fictions that have been developed intentionally or spread unintentionally. The decision by the editors of the Oxford Dictionary to chose the word post-truth is a decision that also highlights a phenomena studied by by Troy Campbell and Justin Friesen. Their experiments tested the relationship between facts, bias, and untestable beliefs. The March 2015 issue of the Journal of Personality and Social Psychology, published their paper titled The Psychological Advantage of Unfalsifiability: The appeal of untestable religious and political ideologies. This research examined the circumspect methods people use to get away from fact(s) that contradict a deeply held belief. Participants in the Campbell/Freisen’s experiments used facts to support or dispute a position. The experiments revealed that when the facts opposed a deeply held belief, the participants argued that facts did not matter but moral opinion did. But, when the facts were on their side, they more often stated that their opinions were fact-based and much less about morals. 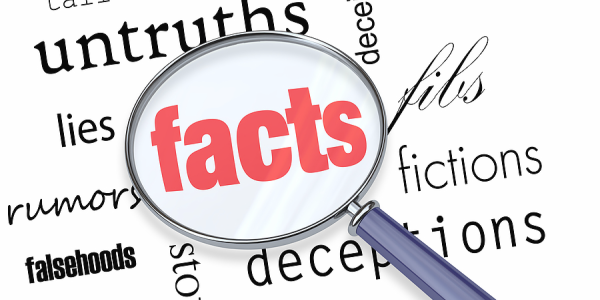 In contrast to Hughes, the use of facts as supporting evidence is essential to the CCSS. The CCSS recognized that 21st Century students would need to deal with an exponential growth in information, a future where rote memorization of facts cannot keep pace with knowledge that is doubling every year. As a result, the CCSS at each grade level outlines the skills students need to identify and to incorporate relevant facts they will use to write argumentative or explanatory responses. All this hunting for text-based evidence may be the best training our students could have received as preparation for this post-truth world where pundits dismiss facts as unnecessary and media platforms promote factual inaccuracies through fake news. Seven years ago, I could not imagine that I would be pleased about the Common Core, but the push for text-based evidence may be exactly what our students will need if educators are ever going to fulfill all those mission statements in student handbooks that outline how to make students into productive citizens and life-long learners.